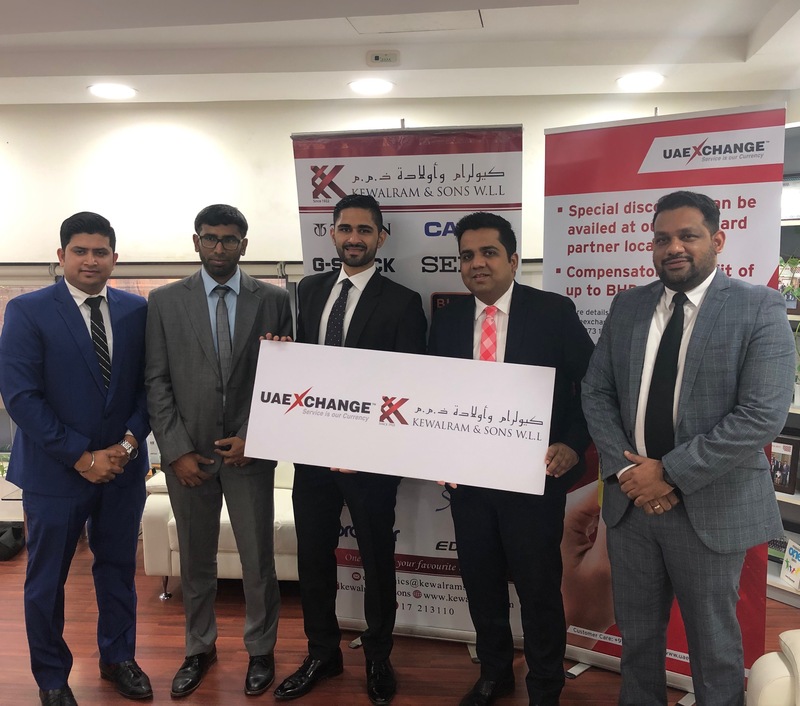 UAE Exchange Bahrain partners with Kewalram & Sons for their Gold Card Loyalty Program. UAE Exchange Gold Card customers can flash their gold cards at any Kewalram & Sons stores and Kiosks to avail special discounts on selected brands and Products. Agreement in this regard was signed by Mr. Akash Nainwal (Executive Director and General Manager – UAE Exchange) along with Mr. Raj Kewalram ( Director – Kewalram & Sons) in the presence of Mr. Mithun Charles ( Head of Operations – UAE Exchange), Mr. Prajwal Shetty (Assistant Manager- Corporate Business and Partnerships- UAE Exchange) and Mr. Sheik Faizal (Brand Manager – Kewalram & Sons).